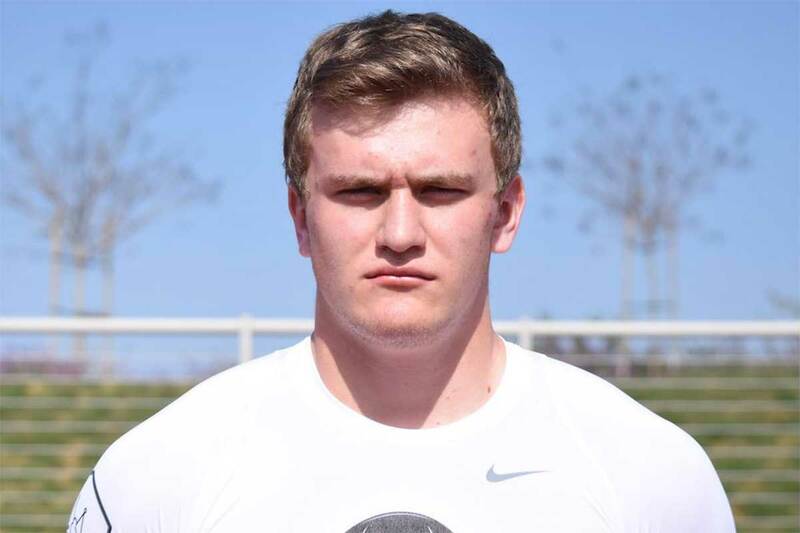 Jaren Kump is a 6-foot-5 250 pound offensive tackle and defensive end who has verbally committed to play for the BYU football (Class of 2018). Kump preps at Herriman High School, where he played on both the offensive and defensive lines as a sophomore for the 5A state champs. He also plays center on the basketball team, throws the shotput and discus for the track and field team, and played rugby. Kump is rated 3-stars by Scout, Rivals, and ESPN. BYU is his first scholarship offer, but he now has additional offers from Arizona State, Cal, Oregon, UCLA, USC, Utah, and Utah State. Kump is LDS and his mission plans are not yet known. Class: 2018 HT/WT: 6’5”, 250 lbs. Profiles: MaxPreps, HUDL Bench/Squat: 265/425 lbs.